A baffling disease, one that is not fully understood, rosacea sufferers appear to process cathelicidin, a skin protein within the skin, differently than the rest of us. Common features include redness, flushing, and prominent blood vessels. Commonly reported environmental triggers are the sun, followed by heat, spicy foods, alcohol and stress, as well as caffeine and citric acid. Rosacea is hard on a woman’s self-esteem! Thankfully, there are drug therapies to ease and control inflammation. But the most exciting part is the inclusion of lasers and light therapies to effectively treat the redness and flushing associated with rosacea. Pulsed-light lasers go down one wavelength and destroy the red cells. Intense pulsed light uses lots of light to destroy some of the pigmentation as well as redness. Multiple treatments of either therapy are needed, but they produce long-lasting results. Believe it or not, the legendary W.C. Fields, American Vaudeville entertainer, was thought to have rosacea because of his large, bulb-shaped ruddy, oily nose, another characteristic of rosacea. The public mistakenly concluded that he was an alcoholic! 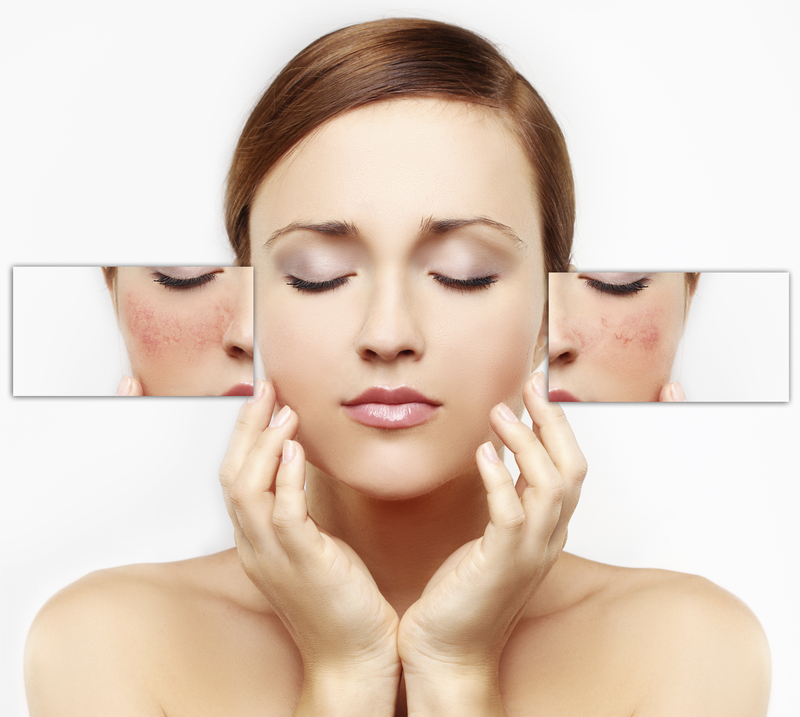 Today, if you have rosacea, you do not have to live with the telltale signs of the disease. While there may not be an answer to the rosacea mystery, there are effective, long-lasting treatments, and we have them. To find out which one is right for you, set up a consultation today!